All Party Parliamentary Group- update! 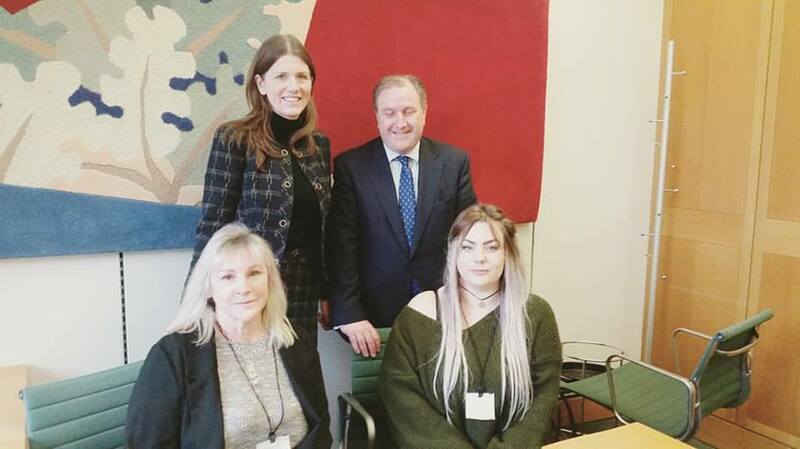 Following two successful MP drop in meetings (more info here,) organised by Teresa Pearce MP and Deb Collins, an All Party Parliamentary Group for Lyme disease has now been formed. The group will be co-chaired by Simon Hoare MP and Michelle Donelan MP. The Lyme community is so grateful that this big step has been taken and that politicians are really engaging with the issues faced by Lyme patients in order to improve the situation in the UK. LDUK will be offering input and support to the APPG whenever needed and in the meantime, thank you to everyone who worked so hard to bring about the formation of this group. Simon Hoare MP and Prime minister Theresa May spoke in parliament about Lyme disease and the efforts currently ongoing to improve awareness, testing, diagnosis and treatment.